Forty-five lives were tragically taken by suicide last year in Winnebago County. An alarming number who took their lives — five — were by individuals ages 18 and under — sons, daughters, brothers, sisters, nephews, nieces and grandchildren. “Suicide is the number two cause of death for 15-24 year olds in the US,” said Kevin Polky, owner of KP Counseling and the founder of SOS (Shatter Our Silence) which promotes suicide awareness and offers educational resources to the community. These alarming statistics and a need to take an active role in suicide prevention, led Polky to organize SOS in early 2016. “Our primary mission of SOS is two-fold: to increase awareness about the factors that lead to suicide in young adults and to educate the general public and young adults on the factors leading to suicide,” he said. To this end, SOS sponsored its second annual Suicide Prevention Fundraiser last Saturday at the Lou Bachrodt Auto Mall. The day-long event featured master classes by health professionals, dance performances by Evolve Dance Company and Gateway Performing Arts Studio and vendor booths from various health and wellness organizations. Highlighting the day’s presentations was the premiere of a video by Vixon productions featuring Evolve Dance Company members. The video presents a strong suicide prevention message as young local dancers portray the song, “You Will Be Found” from the Broadway musical, Dear Evan Hansen. The SOS fundraiser was held in conjunction with National Suicide Prevention Month, which is September. 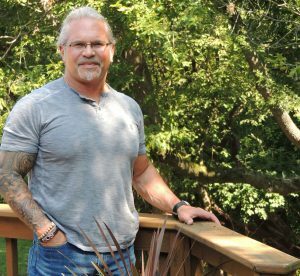 Polky said the need for his SOS group grew out of wanting to do more to help teen and young adults in the Rockford community who may be struggling with thoughts of suicide. “In my son’s high school graduating class of about 100 kids, there were three suicides. Though I have worked as a counselor for 27 years, losing these three classmates of my son’s really hit home. Knowing these kids personally and knowing their families made me want to do something more,” he said. In addition to the fall fundraiser, SOS holds a spring event and also provides a presence at various other community health and wellness gatherings. “We’re involved in Walk Out of Darkness, a suicide awareness event; Hope Over Addiction; different plays; community walks and 5K runs and events that raise awareness about mental illness,” Polky said. He also speaks at schools, churches and youth groups to raise awareness on suicide prevention. Picturing one’s emotional health as a continuum of light at one end and darkness at the other, Polky says, is a good way to understand a teen or young adult’s descent into suicidal thoughts. According to Polky, 90 percent of teens and young adults who commit suicide are experiencing depression at the time of their deaths. Other risk factors may include: mental illness, substance abuse, familial conflict, sexual assault, physical trauma and bullying. “We all have certain things that buoy us up as we go through the tides of life, and when that support isn’t there, and some risk factors become present is when we end up in the darkness,” he said. Xavier Whitford has experienced first-hand the pain and devastation that suicide brings to a family when her high school aged son Tommy committed suicide in 2014. In working through her grief, Whitford became active with SOS hoping to reach out to other parents as a resource and support. “I would tell other parents to take the signs seriously. If your child shows a change in behavior or habits; if they are doing things not typical for your child, take them seriously,” she said.